Following her previous look, Tracee Ellis Ross posted another stylish instagram picture before she made her way onto The Late Late Show with James Corden. 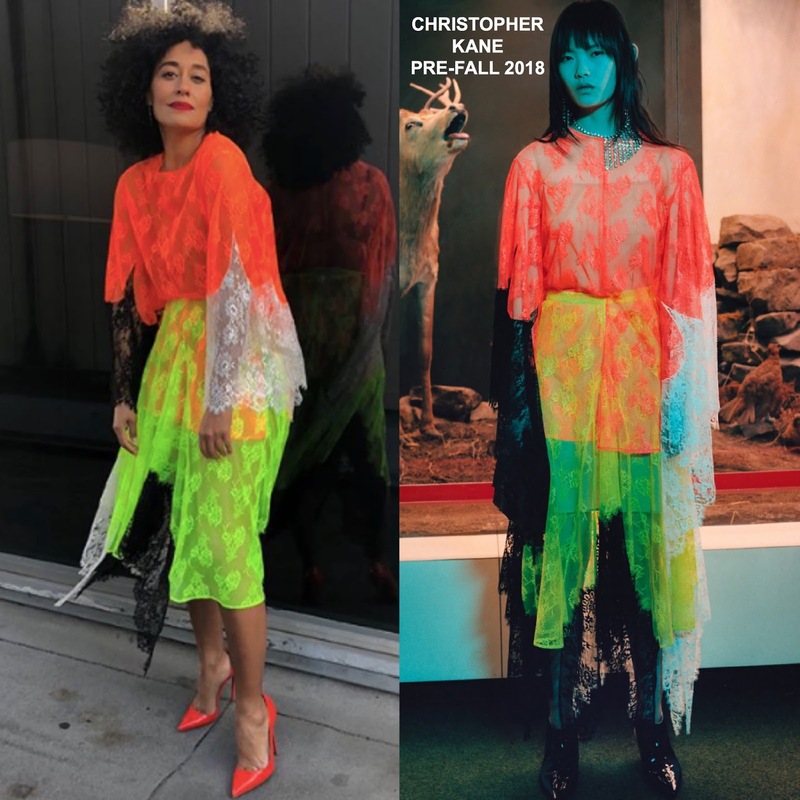 She posed for the gram rocking a CHRISTOPHER KANE PRE-FALL 2018 neon, color-block lace dress. On the model, I don't really get the concept of the dress but on Tracee, she gives it life. Known for her stylish, risk taken looks, this was right up Tracee's style alley. The flawless beauty look and the CHRISTIAN LOUBOUTIN pumps, simply added to the overall chic appeal of her look. Are you feeling Tracee's instagram style on this occasion?